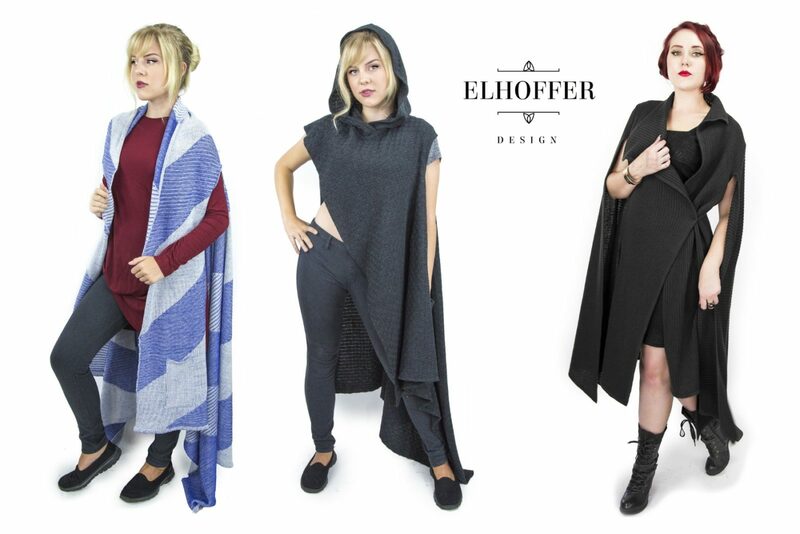 Today’s Mos Eisley Marketplace article features Star Wars fan and geek fashion designer Catherine Elhoffer, of Elhoffer Design. 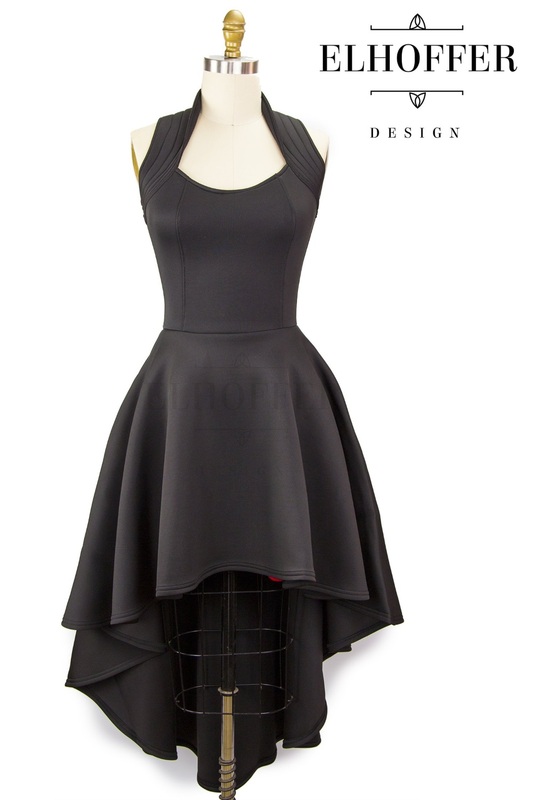 We first spoke with Catherine back in May 2016 when she launched a collection of Star Wars inspired dresses. 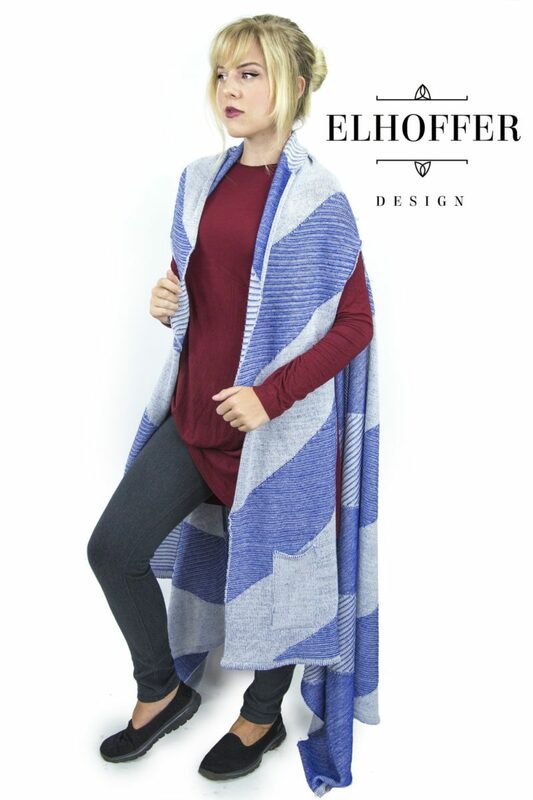 She has since expanded her range to include an incredible collection of geek knitwear, including Rey, Leia, and Padme’ inspired designs! 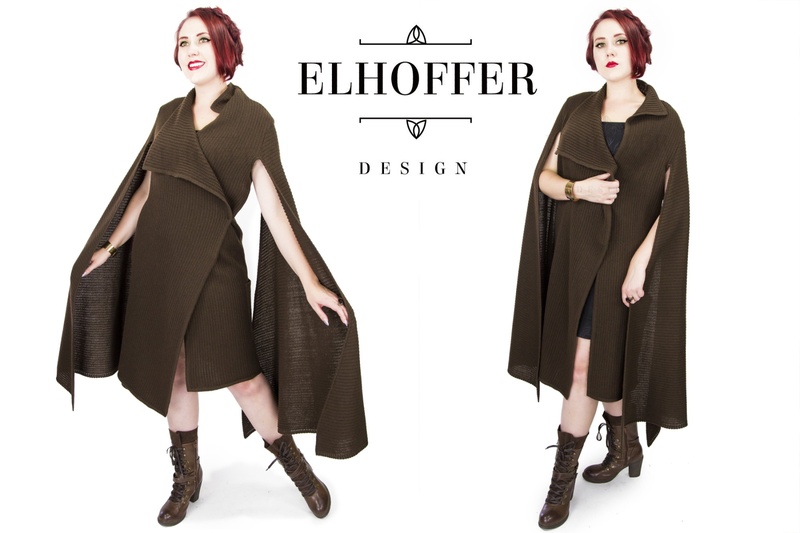 Elhoffer Design takes inspiration from the costumes of Star Wars, and creates subtle, stylish pieces that work into everyday outfits. 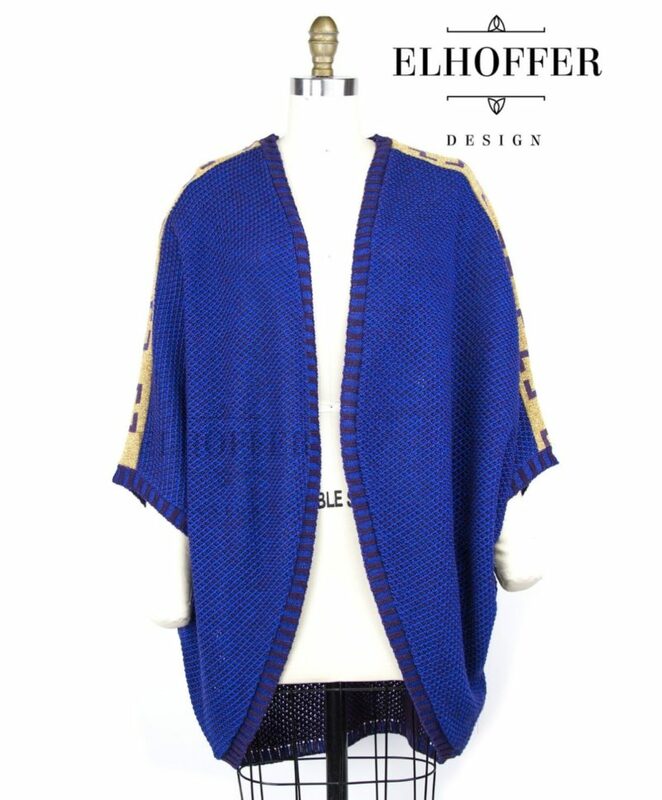 Her latest releases include a new version of her popular ‘Galactic Bromance’ cardigan inspired by Finn’s jacket, and new colour variants of her ‘Galactic General’ longline cardigan inspired by General Leia in The Last Jedi. 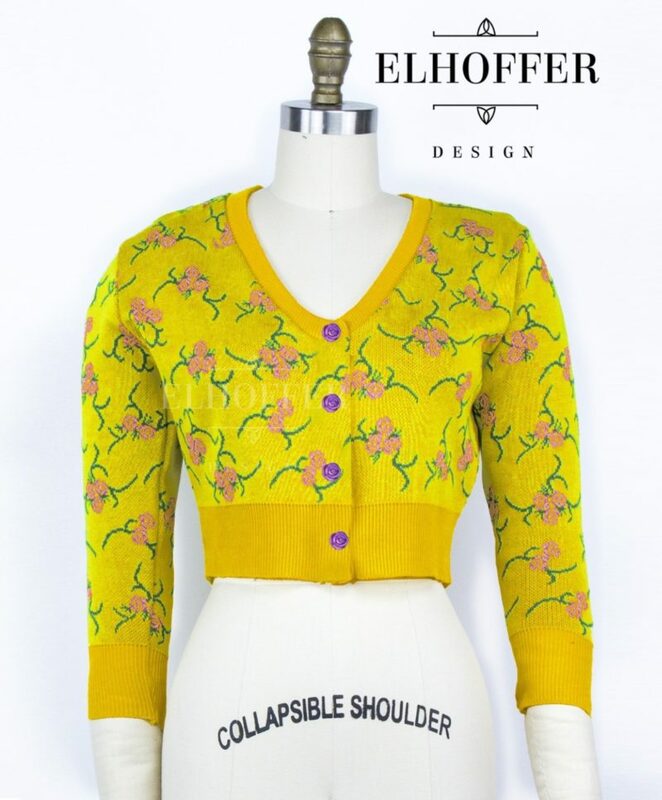 What inspired you to expand into knitted garment design? 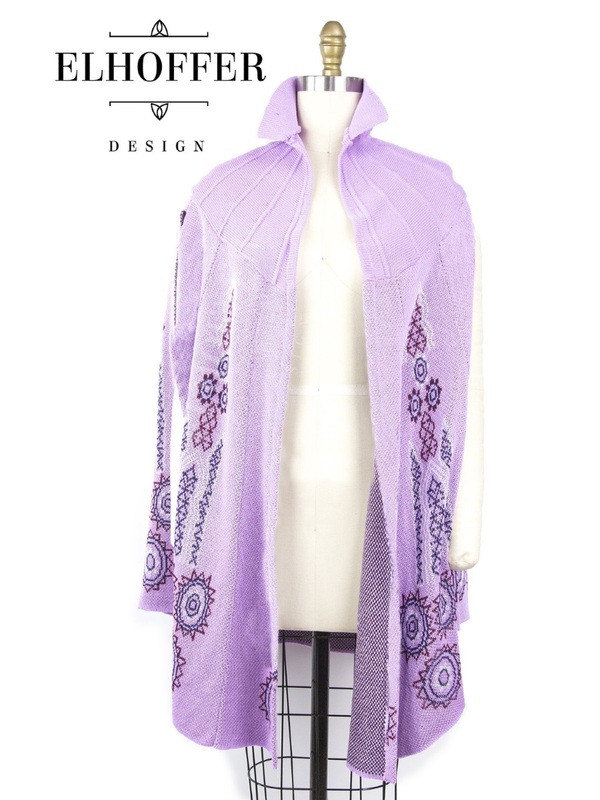 I was extremely in my first year of expanding to mini-mass made clothing production that a friend and mentor reached out to me after she had been laid off from her job. She has been in the knitting industry for years and needed a way to make ends meet, and she asked if I’d be interested in using her as a freelance production coordinator for knitwear! As I had learned a ton about sweaters in my previous job, I jumped at the chance to work with her. 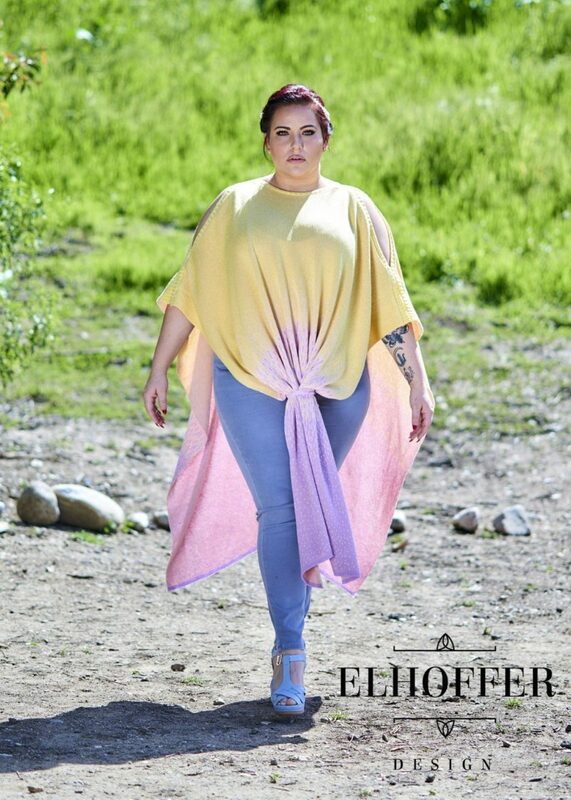 She’s got a few knit factories she works with and has an insane breadth and width of knit knowledge that I can lean on if ever I’m stuck with a problem! 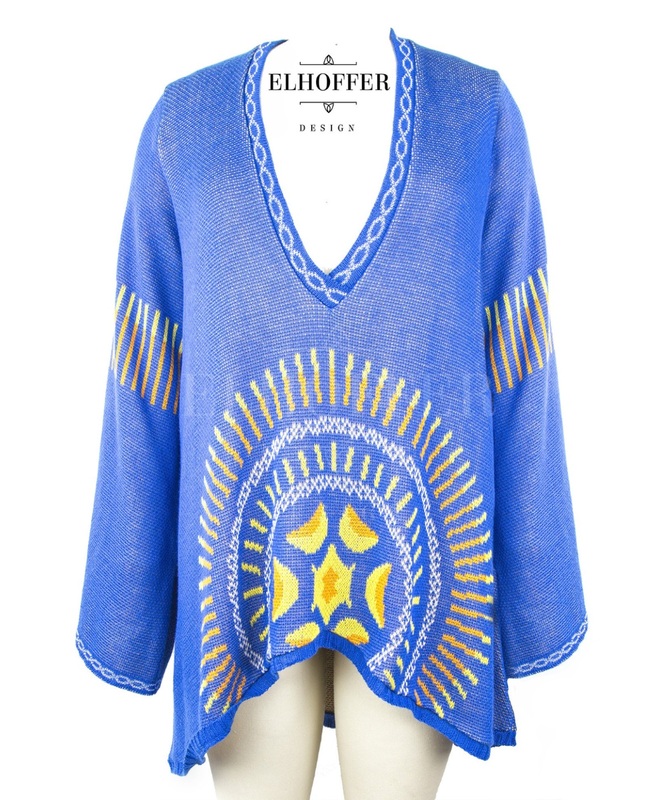 Custom Knitwear is also incredibly exciting as the possibilities are nearly endless and there is much less waste, too! Is the design process harder or easier than your earlier dress collections? A bit of both. It’s a different mindset and a different approach to designing, as I want the sweaters to have their own aesthetic and all, but it’s also easier in a way because the designs sometimes talk to me. I can see some of them so clearly, so it makes designing them just so much easier. I tend to work very organically with designing, and sweaters really allow me to create naturally, as I’m basically having the fabric custom made. So if I really need a certain texture or a certain element to happen, I often can make it real. 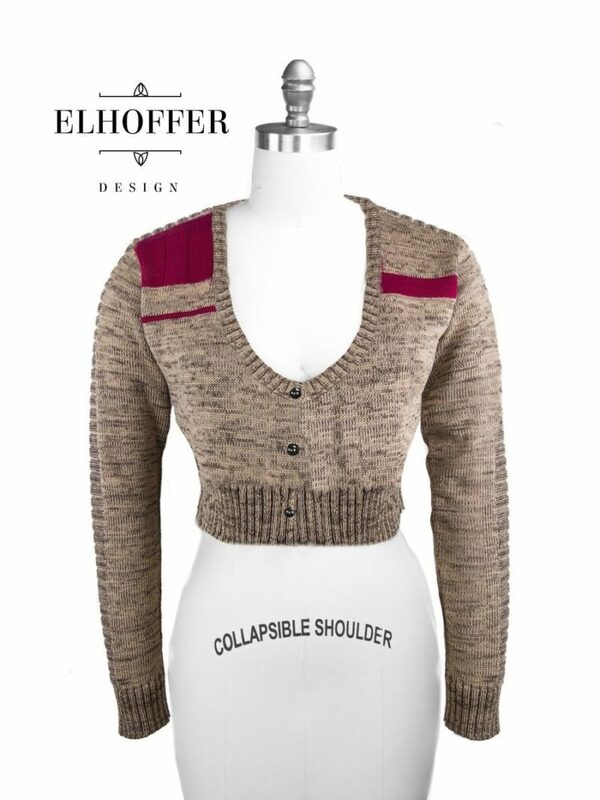 How long does it take to see a concept sketch through to a manufactured knitwear garment? That entirely depends on my factory! Sometimes I can pass them a sketch and probably a sample sew-by (a copy of the sweater or sample made from very cheap fabric to help them understand what I’m trying to do with a new sweater or cape style) and I’ll have a sample in hand in a few days (this is mostly for pieces that I just KNOW will be huge sellers and that people are screaming for, like the Galactic Scavenger Cape). 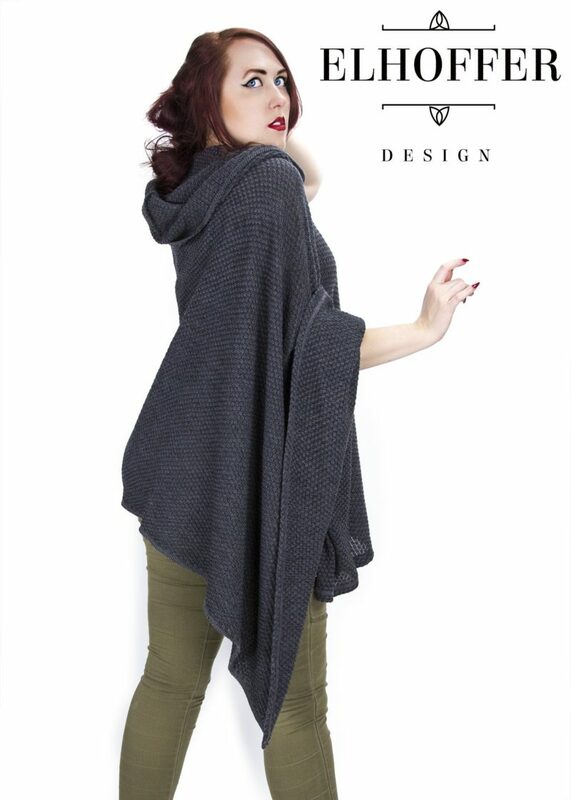 Sometimes it can take months, like my Warrior Prince cardigan I just launched. I passed them a sketch of that back in November, and with the crazy holiday season they just couldn’t find time to sample it and get my productions finished. So I have to be patient. And sometimes they’ll pass me a sample that is just completely unusable so we have to go back and try again. 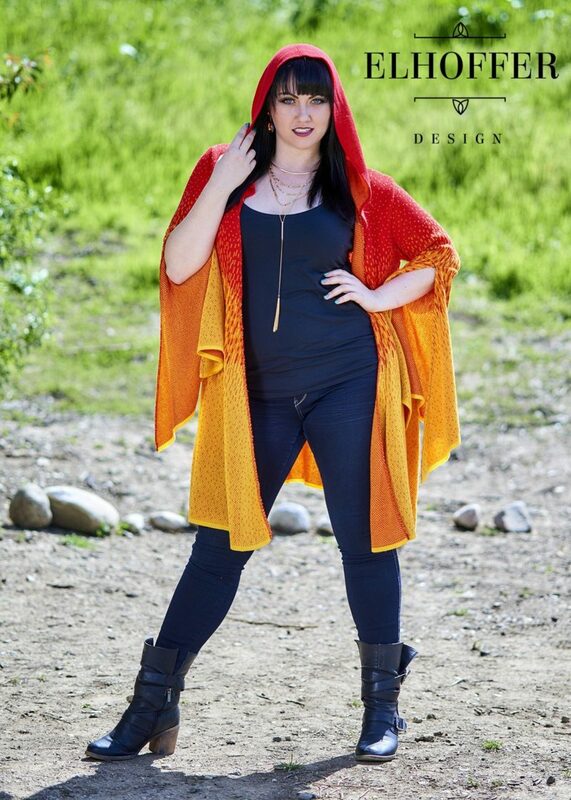 My Dusk Poncho and Sunset Longline Cardigan are both pieces that took 4 or 5 rejections of knit style before we finally got to a place that I was happy. Can we expect to see more Star Wars dress designs like your amazing Rey inspired Galactic Scavenger dress? 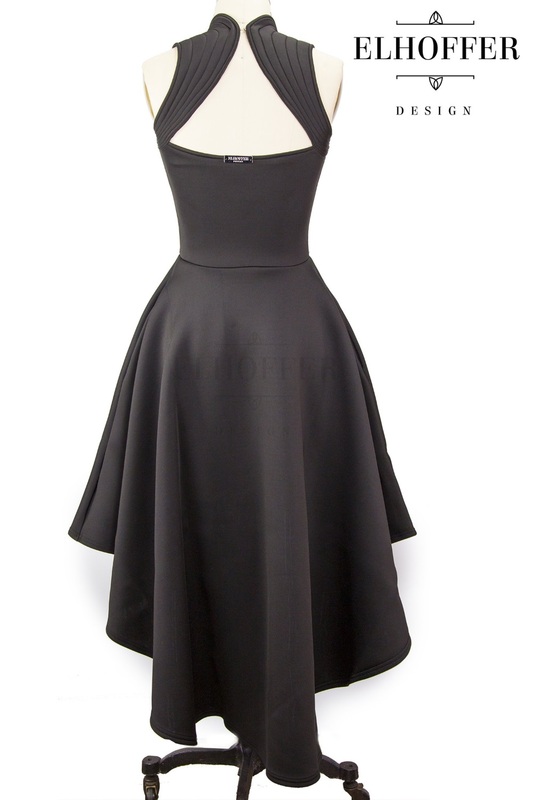 I’m actually cooling a bit on dresses. 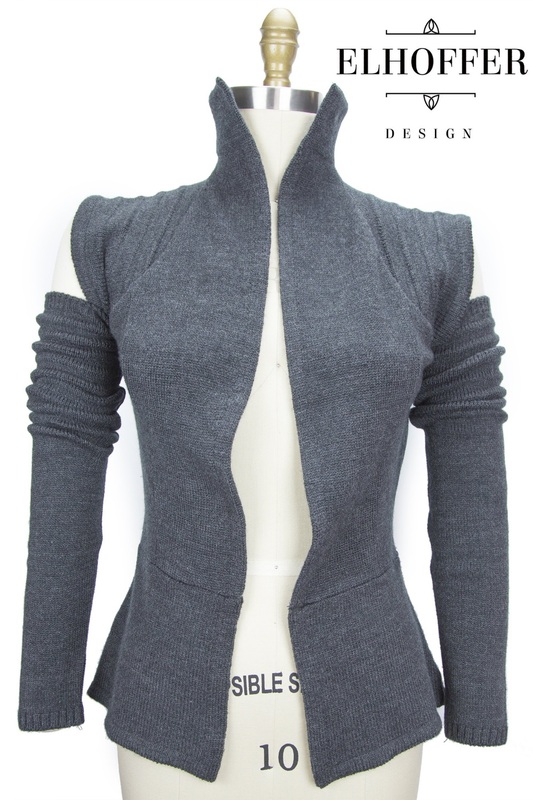 I want to do more of the Commander in a few different colors (though I’m dependent on fabric colors, and right now that fabric style is sold out everywhere I look), and I am thinking of running my Galactic Knight in a more Padme-inspired style. But I get bored easily and I’ve run the Scavenger dress a few times now so I think I’m finally over it. 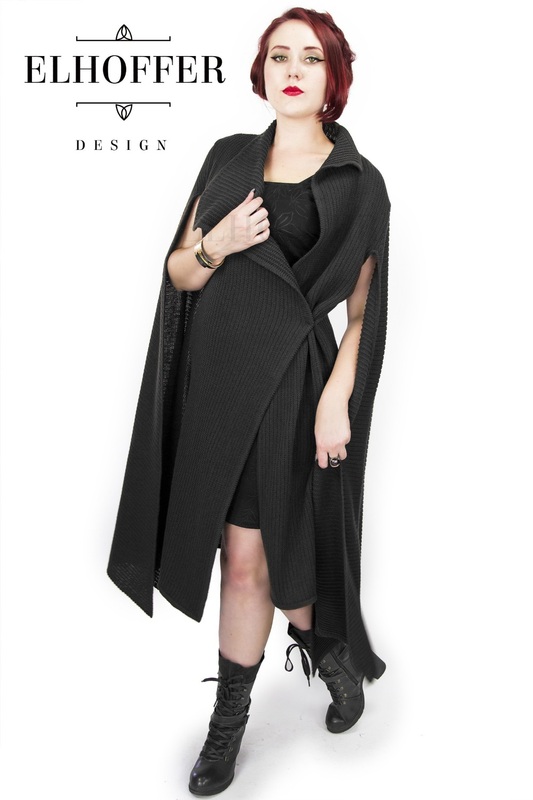 I might have a few more dress ideas in my head, but right now I’m all about capes and easy to wear tops. I go where my inspiration takes me, and for some reason right now it’s not dresses. I absolutely adore your Padme’ Amidala inspired collection – any plans to create more items inspired by some of her other costumes? I’ve got a few ideas, but not a ton. Most of my ideas are heavy on the licensing being needed, and since I don’t have that license I can’t do what I want to do without getting a lawsuit or a C&D. So I have to work around those pesky things. But I might do another mini collection later this year! 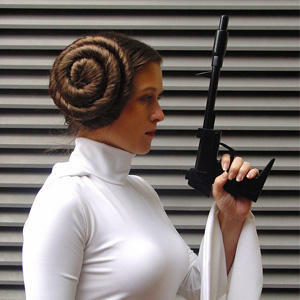 Are there any other female Star Wars characters that you find interesting, that you are keen to explore as design inspiration? The females I tend to love are the ones who are now just legend. And I’d love to do pieces for them but I’m not sure how people would respond. I’m still an incredibly small business with limited resources, so I can’t invest in too much all at once. 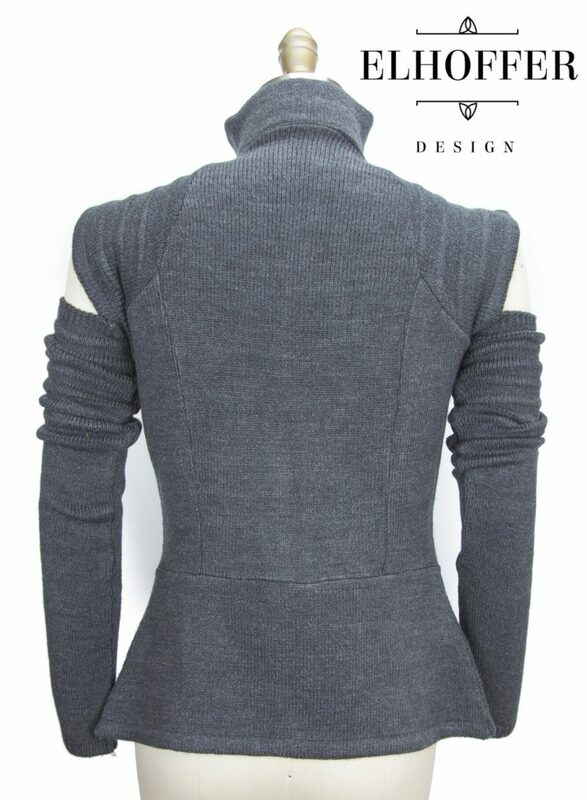 Do you have a personal favourite item from your Star Wars knitwear range? Picking a favorite is so hard, because I really love everything I do. 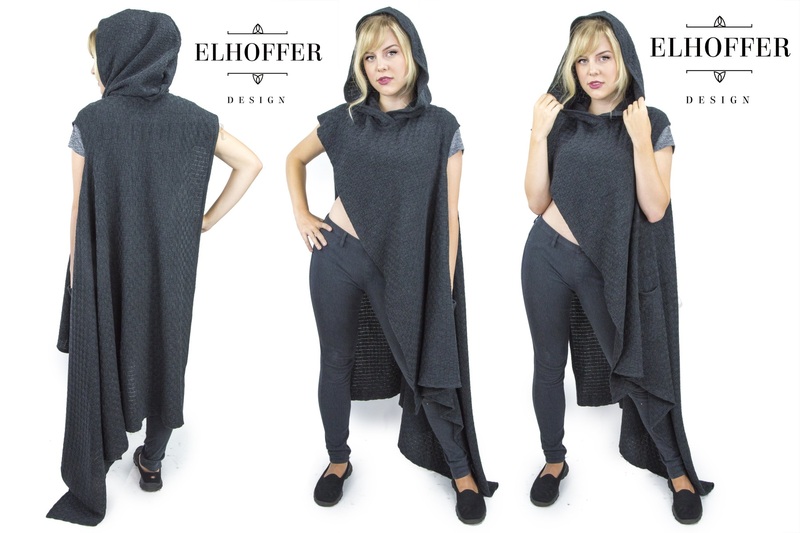 While I’m not an Ahsoka fan because I could never get into the tv shows, I still love the Galactic Snips piece I did because it’s basically a giant blanket cape so it’s incredibly comfy and snuggly! 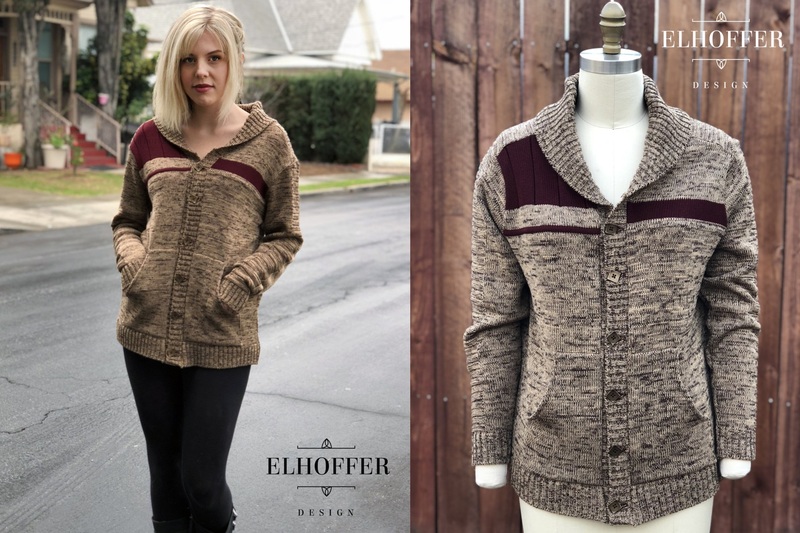 The Bromance cardigans in all their iterations are so much fun to me because the marling of the yarns when knitting makes them look worn and even more textured. 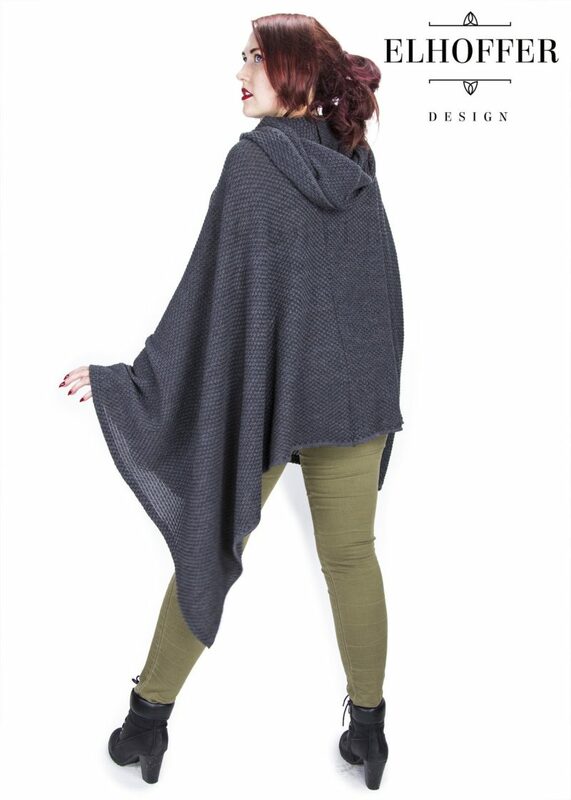 The Scavenger capes are more giant blankets but with huge hoods, and a secret inside pocket which just fills me with glee. The General Longline is elegant and noble, just like the princess it’s designed after. So I don’t know if I have a favorite because I love each and every one so much! 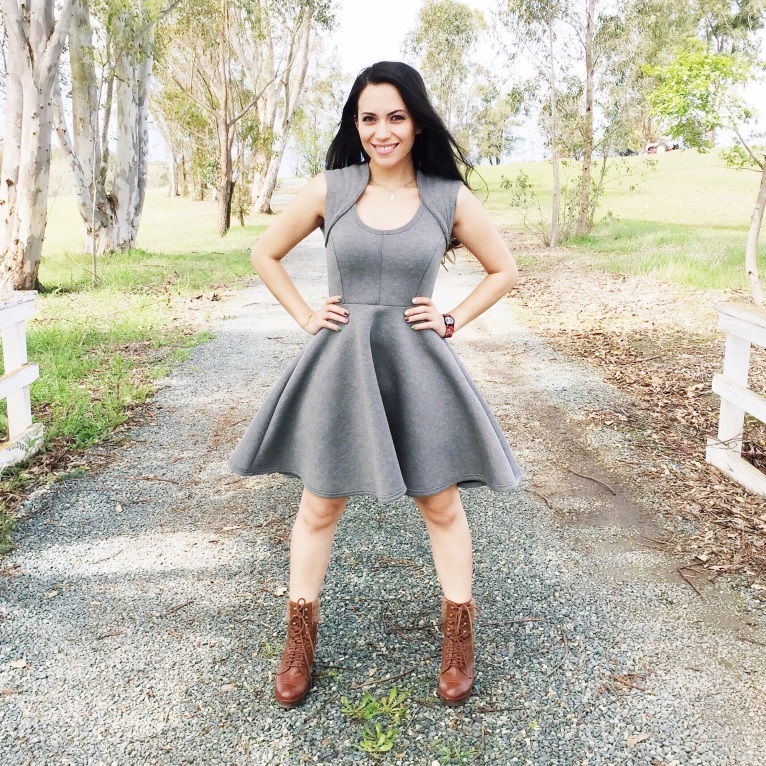 You created a custom dress for actress Janina Gavankar, inspired by her Star Wars Battlefront video game character Iden Versio – how did that come about? So this is crazy, but Janina followed me on Twitter and reached out to me asking if I’d be willing to do a custom pieces for her for an E3 announcement. Which, like, OF COURSE. I wasn’t doing much handmade anymore, but for celebrities and for events like that, I absolutely would. She came to my studio and I tried on a few of my established styles to see if she liked anything about them that we could tweak. She loved the Scavenger dress but wanted to make changes to it, narrowing the shoulder line, adding a higher neck around the shoulders, dropping the neckline, making it a hi-low, and then adding her bars and control box. She then went off to shoot a movie and I went to work making the dress. When she came back to LA we did a fit for the length on the skirt, and then a few days later I brought it to her at the EA Games event! It was so incredibly exciting as she let me hang out with her backstage and was just so incredibly sweet and kind and generous with everyone. She’s also such a huge Star Wars fangirl, so this was a dream for her as well!! From a fashion design viewpoint, which Star Wars movie are you more excited about – Episode IX or Solo? Probably Episode IX. Solo is going to have some cool looks, but I also think it feels like a film that Lucasfilm and Disney are trying to almost sweep under the rug. Launching it just behind Infinity Wars and not at December feels weird to me, and while that doesn’t say anything about the costume design, I just think they are going to spend a lot more on IX’s costumes than on Solo’s. So I think I’ll be more inspired by IX. I should be getting my Solo-inspired samples in the next few weeks, so I hope I can have stock in time for the movie at least! I’m going with a throwback look and doing a crop top collection. I’m super excited, because all the pieces are very different and have a vintage flair to them. Many thanks to Catherine for her time in answering my questions. 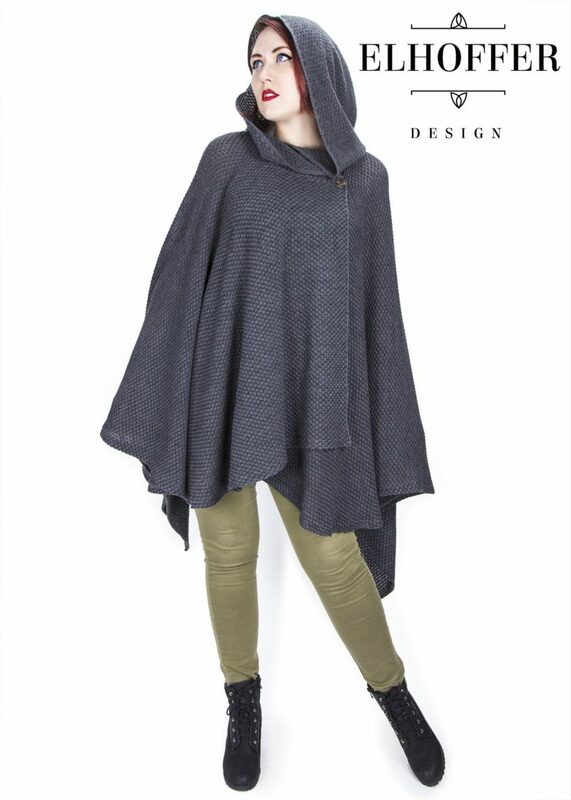 Her Star Wars inspired knitwear range is a wonderful blend of comfort and style – I can’t wait to see what new designs she will release in the future!